Love stripes? Showcase them in a fun and interesting way with the mitered maxi skirt design from Liberty Jane! 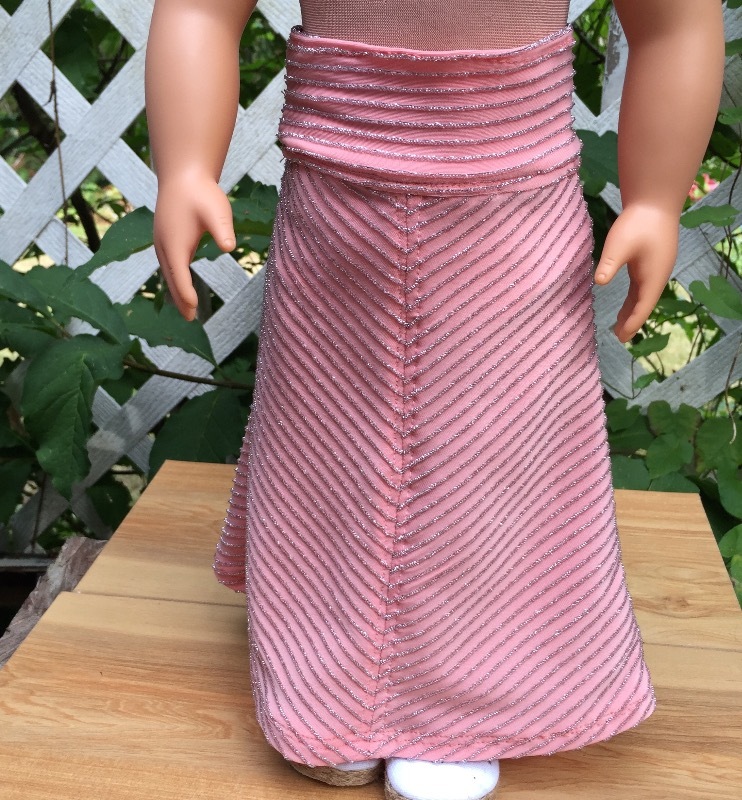 Your doll will love the fit and feel of this trendy foldover maxi skirt. The design features a flowing jersey fabric flatteringly draped in mitered stripes, which creates a silhouette designed for ease of movement, while the stretch waistband provides a perfect fit for a variety of dolls. Pair this skirt with any of your favorite tops, like the Peleton Tank (pictured on the cover) for a trendsetting look! 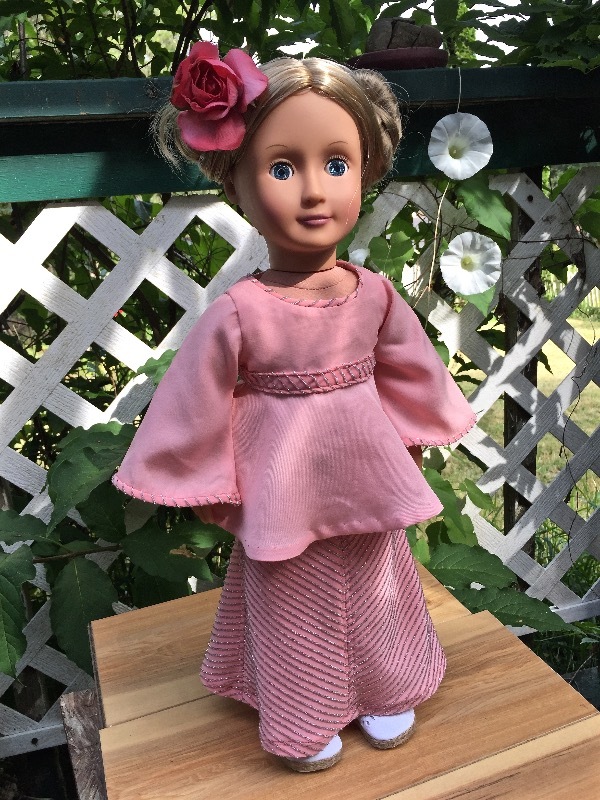 This PDF pattern is designed to fit 18 Inch soft bodied dolls such as American Girl®. The doll pictured on the cover is a Madame Alexander® "My Life As" Doll. It has a similar body type as well. Love this pattern. It is so easy to sew. I've made a few from knit fabric and also cotton fabric. I was worried about making this skirt even though I have sewn for years, it was a piece of cake. I encourage you to try it. The pattern pieces are marked so you cant go wrong. Everything matched up wonderfully. Cut and made several in an afternoon.